More than half of parents think their children can get the flu from the vaccine, according to a new national survey by Orlando Health Arnold Palmer Hospital for Children . The survey also found that one-third of parents also think the flu shot doesn't work. Doctors say this type of misinformation is dangerous. The results of this survey come in the midst of the 2018-2019 flu season, and a year after one of the deadliest flu season's on record. According to the U.S. Centers for Disease Control and Prevention, about 80,000 Americans died from the flu during the 2017-2018 flu season, making it the deadliest flu season in four decades . Of those deaths, more than 180 were children and 80 percent of those kids did not get the flu vaccine that season, according to data from the CDC . Medical professionals advise healthy children 6 months old or older to get the flu shot. The survey also showed that 28 percent of parents think the flu shot causes autism, which is also not true. 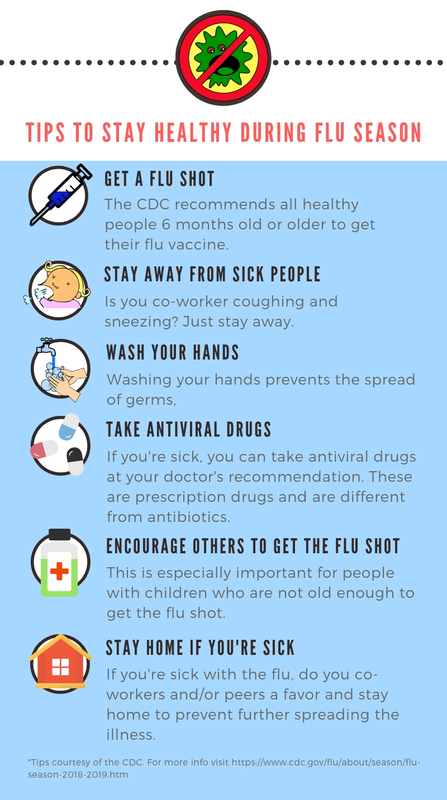 So what is the best way to protect you and your family during flu season? Below are some recommendations from the CDC.